Singer songwriter duo, Jesse and Emily Lubitz, write with flare about the poetics of the everyday uncanny. 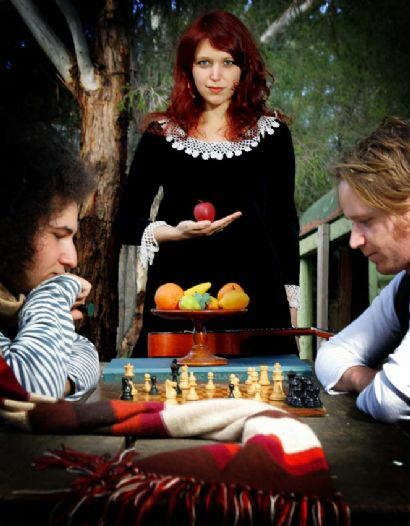 Their band, TinPan Orange, find on their musical journeys love in a flood, solitude in a crowd, and eternity in death. This is the second release for the band and features Renee Geyer. ...blessed with Emily Lubitz's voice of purest, unpolished silver. If my voice had a baby it would be hers. Take two acoustic guitars, add a violin and a mandolin and the voice of an angel and you have TinPan Orange.